Search for agencies and categories. 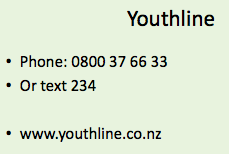 Youthline: YOUTHLINE provides phone counselling. 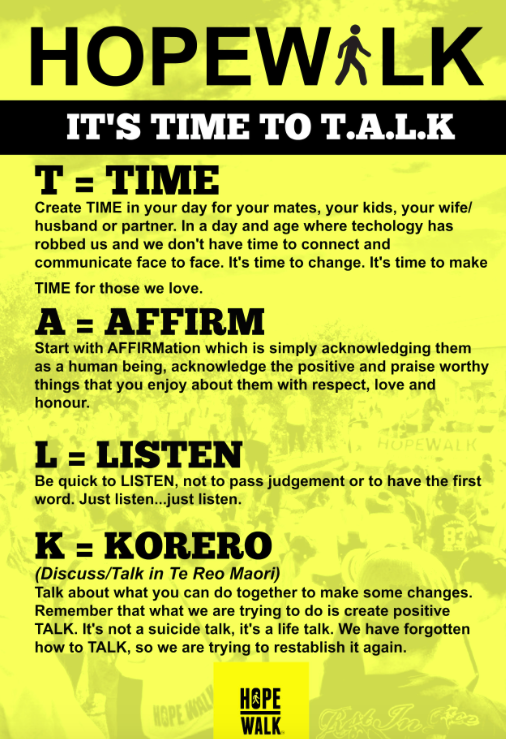 Check out their new Ap for day-to-day support "Good 2 Great"
"Smiling Mind aims to build happier, healthier and more compassionate people. Our mindfulness meditation programs are designed to assist people in dealing with the pressure, stress and challenges of daily life". This websites also has a directory of heaps of services. 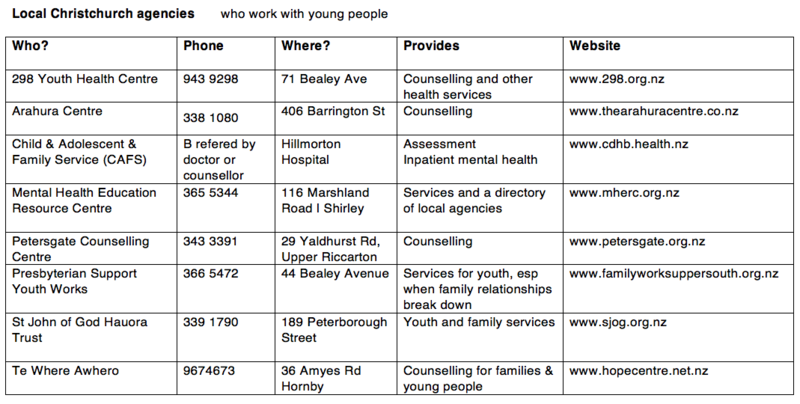 The DHB mental health services for young people & families is now being co-ordinated by CAFS: Child, Adolescent and Family Service.